“Behold, He that keeps Israel shall neither slumber nor sleep. The LORD is your keeper: the LORD is your shade upon your right hand. The sun shall not smite you by day, nor the moon by night. The LORD shall preserve you from all evil: He shall preserve your soul. The LORD shall preserve your going out and your coming in from this time forth, and even for evermore,” Psalm 121:4-8. Psalm 121 is short only 8 verses yet it relates perfectly how Israel should trust YHWH (Yahweh) a Covenant keeping God... The idea of YHWH’s keeping watch over Israel in her “going out” and her “coming in” is probably meant to be a figure of speech in which two contrasting parts are used to encompass the whole. For example, when we read in Psalm 78; “May he have dominion from sea to sea,”- it means; “from one sea to the next, and everything in between.” The same goes for his watching over the “going out” and “coming in” that extends to wherever Israel may be at any time! 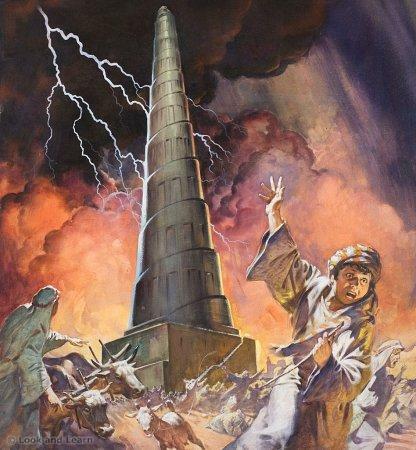 Interestingly, it represents well the connection between the unique events of the “Exodus” - the “going out” from slavery in Egypt …and the entrance into Canaan (the “coming into” the land of promise, where the LORD called them to rule and be a light to nations. The glue that binds these two major events of Israel is the guidance and protection of the LORD …who, just as the Psalmist confirms promises to be with His people; He reminds Joshua and His people two times in the book of Joshua; “I will be with you” Joshua 1:5;3:7. And, Joshua 3:1-4:24 then, underscores the official step of “coming into the land” under the supervision of YHWH (Yahweh – God). There are two key parts to the story of the entrance into the land of Canaan – (Israel). Joshua 3:1-17; tells us about the miraculous crossing of the Jordan River …while Joshua 4:1-24; recounts the command of God that the people of Israel set up a memorial of remembrance. Many interpreters of the book of Joshua believe that the story of the crossing of the Jordan by Israel is the most important event in the book… Why is it so critical for the story…? Let’s pause and jump to the end of the Bible for a moment. In the book of Revelation, we are given a vision of the world at the “End of the Ages” and what life will be like in God’s glorious Eternity (Revelation 21:1-18) with Streets of gold and be-jewelled walls BUT, there is NO sea...! Wait a minute. No sea…? What does God have against the sea…? Well, certainly He has NO problem with water since it was used for drinking, rituals of cleansing …and, eventually Baptism, connected to the Holy Spirit and the New Birth in Christ. However, in the Ancient World, large bodies of water were sometimes viewed as symbols of chaos and evil. From the very beginning of the Bible as we read in Genesis 1:2; God separated the dark dome of “waters,” bringing order to chaos. We are told that Leviathan (sea monster) “frolics” in the murky sea (Psalm 104:26). Sea storms torment and sometimes kill sailors (Psalm 107; Jonah 1; Acts 27). Remember, also, that when God grieved over humanity’s wickedness and decided to destroy the earth, He chose a flood of water as the means - Genesis 7, as if to bring chaos to pass again on earth, virtually undoing His act of ordering. So when the Israelites stood before the Jordan River, which was positioned between them and the land “given” to them by their God, it was NOT a matter to take lightly. In fact, a close reading of Joshua 3 should cause us to make some key connections between the crossing of the Jordan and the famous parting of the Red Sea. At the initial steps of the people of Israel into the Jordan, we are told that “…the waters flowing from above stood still, rising up in a single heap” …and that Israel was able to cross “on dry ground” (Joshua 3:13; 16-17). This language matches almost exactly the language of the Red Sea crossing (Exodus 14:16, 22, 29; 15:8-9; Psalm 78:13). As Israel looked back on these two key events, it was as if “the seas,” seen as the manifestation of evil and had been conquered by God (Psalm 114). There is another important connection to make that is when Israel saw the “dry ground” appearing when the waters were divided …this may have made them think of God’s work of creation when He made dry land appear out of the watery abyss (Genesis 1:9). What would that communicate to them…? In view of Israelites marching into the land occupied by another group of people was a reminder surely, that the God who is guiding them is the one God of the whole world - the Creator of heaven and earth. Or, put another way, the God who “makes” the seemingly uncontrollable sea as well as the land is the same God who WILL “make” a way for His people! 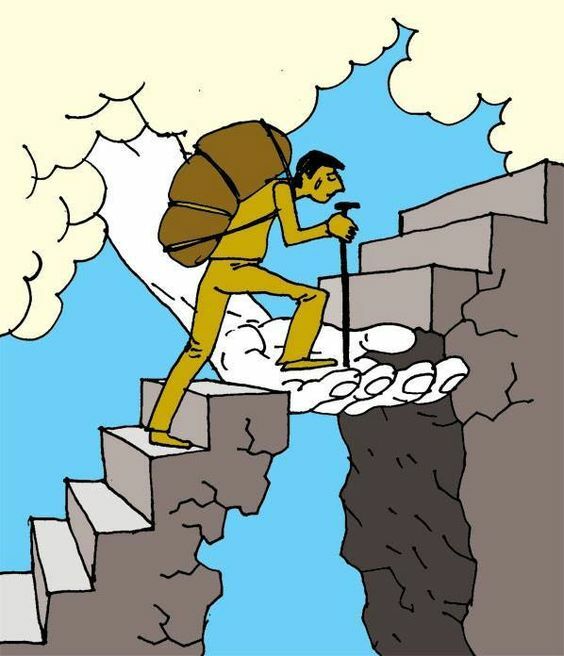 And, God WILL make a way for us too! This month of November is going to be a very interesting and prophetic month. Why are the American elections so important for everyone…? Yes, not just the US but especially Israel and for all of us in the West! What happens on the 08th November, 2016 will change everything either for good or for bad depending upon who gets elected! However, we must always remember; “There is NO authority except that which God has established. The authorities that exist have been established by God,” Romans 13:1. We do not have to be fearful but rather understand – that what God has set into motion NO BODY can undo! We have to line up with what God wants and not what we want. God sees the heart of the person but we humans tend to look to the outward appearance. You see God knows the outcome of the future and we do not! We as believers want a “perfect” person …but even Yeshua (Jesus) called the religious, hypocrite –- Pharisees of His time names and we can read this in Matthew 23:33 and Luke 13:32-33 …where He calls them – “you brood of vipers,” - “whitewashed tombs” - “foxes” etc. You see, Yeshua did not look at the outward appearance as it’s all about the heart of man. 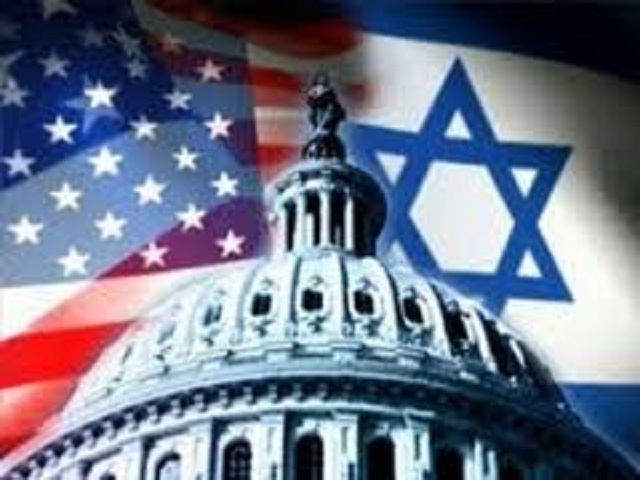 In these End Time Days that we are living as the world becomes more and more anti-Semitic and Israel increasingly isolated especially over the past 8 years under the Obama Administration where Israel has been made to be the enemy …and the enemies of Israel became their friends. The lust for power of the elite has to be broken! Corruption has been exposed and God will be the one who will do so and He will use a man that He can trust just like Gideon and make him a “mighty man of God!” We believe that we are entering into a period of shock that will shake the world – the enemies of God and Israel will quake and tremble! When does God judge nations…? There are many Biblical examples where we see nations or people that have come against Israel are removed into the dustbins on history! God will protect Israel! 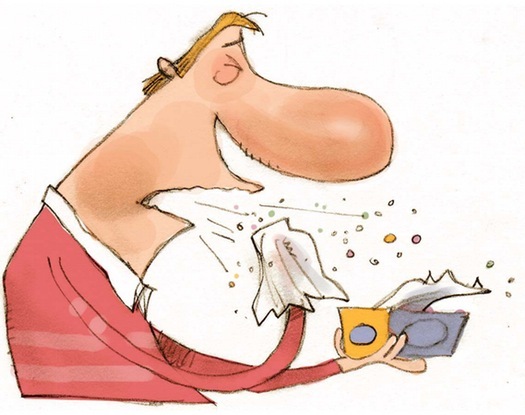 America under Barack Hussein Obama presidency has been on a steep decline …not only in the U.S. but on the world stage where that “virus of decline” has infected the Middle East, Europe and the Western World which has now become sick! Russia, Iran, and Turkey are now at the northern border of Israel. How did this happen…? We believe that God had raised up America to be a protector to the Jews after they were expelled by Spain on 31st March, 1492 …and when did Christopher Columbus discover America…? YES, you guessed it – 3rd August, 1492! Nothing is coincidence! America the very protector of the Jews has been blessed because of this …and in fact God even promoted America to be the leader of the Free World where they also prospered greatly. Sadly, over time the US began to turn their back to God and so decline set in extensively under Obama and his corrupt Administration who has been delivering Israel a faithful and close ally to its enemies, pushed a nuclear deal with Iran knowing that they want to "wipe Israel from the map" - financed terrorism through Muslim Brotherhood and Hamas and greatly supported a Palestinian State by dividing God’s land – Israel. Surely this does not please God! Islam the very enemy of God is now celebrated by Obama who has done more harm to Israel’s security than any other President before him. In time, Ezekiel 38/39 will begin as the Bible tells us and it will change the world, and Israel WILL become its main focus! As the world elite solidifies their power in the capitals of the world, Satan will surely rule with an iron hand even more and eventually give rise to the antichrist. So when God is ready to judge a nation He first deems the sin "incurable" as He is long-suffering, and merciful giving everyone a chance to come to repentance. Just as we see this example in Leviticus 25:18-22 where God waited 490 years before judging Israel’s failure to keep the 7th land Rest Sabbath. Every 6 years they were to plant and every 7th they were to let the land rest. Seventy times the Israelites failed to follow this law and after 490 years - God told them that they would be taken into captivity for 70 years …an equal amount of time they had failed to allow the land to rest! 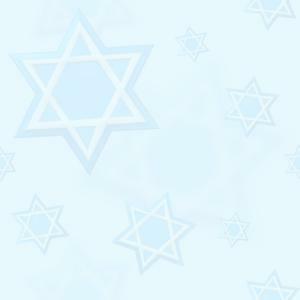 (Leviticus 26:28-35) So if God can judge Israel, we in the West, are not immune, after all, the earth is the LORD'S (Psalm 24:1). In Jeremiah 7:16-19 God told the Prophet Jeremiah NOT to pray for the people of Judah and the City of Jerusalem. Why…? Because, God had passed the point of no return and was in a holy anger against them for serving other gods. Justice is sure! Are we witnessing such in the West where Islam is now infiltrating…? Is history repeating…? God repeatedly reminds a nation in time of prosperity that it is God who gave them this power in the first place… "I spoke unto you in your prosperity; but you said, ‘I will not hear.’ This has been your manner from your youth, that you obey not my voice," Jeremiah 22:21. We can take advice from this highly shocking example; to realize that, in the approximately 100 years before God caused King Nebuchadnezzar of Babylon to attack Israel, militarily destroying her corrupt society, Israel (like America and the West today) had enjoyed the greatest run of material prosperity in her history! Her banks ruled the world of commerce, and her merchants likewise ruled the commercial trade of the known and civilized world. As the few prophets of God and the even fewer teachers of His doctrine, warned the people that they would be destroyed if they did not repent, the false teachers of that day continually held up Israel's national prosperity as "proof" that God could not be angry enough to destroy the country. After all, "look at the unparalleled prosperity Israel was enjoying," they cried! God must not be angry or He would not allow Israel to be so prosperous! The vast majority of Israelites during that time believed this utter nonsense, even as Babylon's army was allowed to become mighty by God's hand gathered at Israel’s borders. The people played even as their military destruction drew nigh. Now listen very closely please! Satan's kingdom of the antichrist cannot be established unless the people are enjoying unprecedented material prosperity! What are the goals of Antichrist…? Leaders under his control will be working toward a “One-World” Global Government; Economy and Religion. Satan nearly achieved such a “global system” at the Tower of Babel, as he had a “One-World” Government under Nimrod; a single economy and a single occult religion - all based on a single language. Today, world leaders and false teachers are telling the very same lies as 2,500 years ago. Sadly, too many in the U.S., Europe and the West believe that God must NOT be too angry with them or He would NOT have allowed them to become so prosperous and powerful. Yet, the opposite can be true when Satan is drawing a people into his net of destruction and he does everything he can to bring prosperity to that land. He even unsuccessfully tried deception promising our Lord, Yeshua (Jesus) “…all the kingdoms of the world” (Matthew 4:8; Luke 4:5) if He should worship him instead of God! And, it is the same lie he is telling to the nation he is about to bring to destruction! Remember that Sodom and Gomorrah before God destroyed them were exceedingly prosperous and they dominated the culture and the commerce of that day. (Genesis 13:10 and Ezekiel 16:49) Doesn’t God want us to prosper... YES, He wants His children blessed and it brings Him glory as Jehovah – Jireh our provider! But, He doesn’t want us to become proud and forget Him. You see, Satan became prideful and exulted himself above God and then God threw him and a third of his followers out of heaven! So can God heal a nation….? YES! “If my people who are called by my name humble themselves, and pray and seek my face and turn from their wicked ways, then I will hear from heaven and will forgive their sin and heal their land, “2 Chronicles 7:14. You see, God knew that man is so wicked that he feels less of a need for God the more prosperous he becomes. We have an example from the Great Depression, where people turned in very large numbers to faith in Yeshua (Jesus Christ) and the Bible. Yet, every generation since World War II has drifted further from God, the Bible and Judeo-Christian belief in direct proportion to the greater material prosperity they have achieved, both individually and as a nation! David, who succeeded Saul as King, had great success and he built up the nation of Israel, in power, wealth and territory... But, then he committed adultery with Bathsheba and arranged to have her husband killed in battle. He hid this sin for about a year. You see nothing is hidden from God. David records in Psalm 32 how God dealt with him for this. “When I kept silent, my bones wasted away through my groaning all day long. For day and night Your hand was heavy upon me; my strength was sapped as in the heat of summer,” Psalm 32:3-4. Then the prophet Nathan confronted him with his sin and he confessed and told him that God would bring calamity on him out of his household. (2 Samuel 12; 13-19) And so calamity came upon David’s household just as Nathan had predicted, his son with Bathsheba died. Eventually Absalom was killed and David’s rule was re-established …and yet, Scripture repeatedly speaks of David as a man whom God loved because he turned to God and repented. There are some elements of direct judgment in this history and in the case in which, for a time, David had lost the favour and protection of God. David prayed calling out from his heart to God in deep anguish… “Do not cast me from your presence, or take your Holy Spirit from me!” Psalm 51:11. Just like in the times of Gideon, God told Moses that the people would forsake God and worship other gods… “On that day I will become angry with them and forsake them; I will hide my face from them and they will be destroyed,” Deuteronomy 31:17. The people of Israel had repeatedly “forsook the Lord” as we read in the book of Judges …but today the world is NO different from Israel in the Bible - worshipping other gods and “provoking the Lord to anger!” You see we are not immune! And, just as God in His righteous “anger” against Israel …and just as God “handed them over to raiders” …and “sold them to their enemies” …so too judgement will come to the nation that forsakes God! When Israel fought battles - “the hand of the Lord was against them to defeat them!” But, then He raised up a judge to liberate them and for a time all was well …but again they turned away from God (Judges 2) and the whole process repeated itself over and over! Sometimes people will try and kill you or your vision because then they also kill God’s divine plan through you! The men of the city wanted to kill Gideon for what he had done, however, Gideon’s father wisely calmed the crowd when he stated… “Will you plead for Baal? If he be God let him plead for himself,” Judges 6:31. So from that day forward, they called Gideon, Jerubbaal - which means "Baal will be contended with." Without the help of God, we cannot expect to succeed. We in the West all need to pray that God will not remove his protection and favour from our countries. We also need to change our ways so that our iniquities will not separate us from God. My people are destroyed for lack of knowledge; because you have rejected knowledge, I reject you from being a priest to me. And since you have forgotten the law of your God, I also will forget your children,” Hosea 4:6. You see, God removes a hedge of protection from the nation or leader when they don’t repent…! At times God may withdraw His protection and favour. He does not cause the harm, but He allows it to happen. And, at times He merely allows us to reap the natural consequences of our own actions and choices. While His hand of protection is on us we succeed… but, if He removes it we may encounter great difficulties …and sometimes the withdrawal is temporary …and sometimes it is permanent. The Bible gives us an example of this in Isaiah 5:5-6 when judgment comes. It comes in all forms and styles, but it comes! Why does it come…? For disobeying God’s land laws and in other cases, it was for one of the "six things that God hates" (Proverbs 6:16-19). God judge’s nations for their behaviour and it can be for any ONE of the six things that God hates which can bring judgment… And, God weighs a nation's future against how it has treated Israel! Has America as a nation been a friend to Israel under the Obama Administration…? No! Though there are MANY Americans who love and support Israel individually and through the churches …but as a nation – No! America is NOT the only nation because this applies to any other country or nation that has increasingly brought and still bringing hardship on the Nation of Israel, through various ways such as the BDS movement, Jew hatred, anti-Semitism and especially dividing Jerusalem and God’s land, Israel! And, we are witnessing this judgement on Europe already taking place. Germany, France, England and other parts of where Jews are persecuted daily. 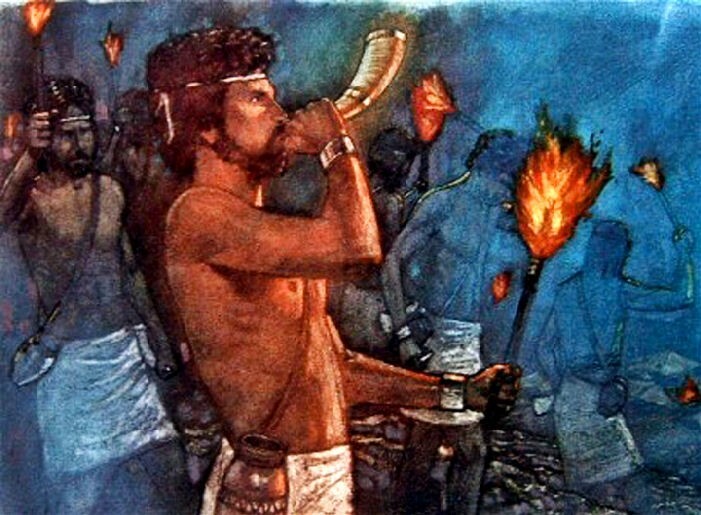 "For behold in those days and at that time when I shall reverse the captivity and restore the fortunes of Judah and Jerusalem, I will gather all nations and will bring them down into the Valley of Jehoshaphat, and there will I deal with and execute judgment upon them for their treatment of My people and of My heritage Israel, whom they have scattered among the nations and because they have divided My land, "Joel 3:1-2. Very serious Scripture that we can’t ignore! Today, Europe has been invaded by Islam. Millions of Muslims - "so called refugees" - the very thing they "craved" to support when they brought them (mostly young men) into their lands "to assimilate" into their culture …and so they are now "feeding" upon their desire of change …ignorant to the fact that Islam does NOT assimilate just as their Quran commands them NOT to do so with non-Muslims! Europe allowed Islam "in" and they allowed the Bible "out" …and, God will allow this until they are "nauseated and until it comes out of their nostrils!" Why…? Because, they have rejected and turned away from the God and the Bible (Numbers 11:20). You see God chose Saul to be King of Israel and for a time he was successful, but then he disobeyed God twice... The first time Samuel, who had anointed him as king, said; "now your kingdom will NOT endure," 1 Samuel 13:14. The second time he told him that "God had rejected you as king over Israel and torn the kingdom of Israel from you," 1 Samuel 15:26-27. Near the end of his reign Saul consulted a witch, who summoned up the spirit of Samuel (who was now dead). Saul said; "I am in great distress... the Philistines are fighting against me and God has turned away from me!" Samuel spoke to him asking… "Why do you consult me now that the Lord has turned away from you and become your enemy?" 1 Samuel 28:15,16. Soon thereafter Saul was wounded in battle and killed himself to avoid capture and his three sons also were also killed (1 Samuel chapter 31). Under King Solomon (David’s son) the kingdom of Israel prospered even more. However, Solomon ignored God’s command NOT to marry foreign wives, and so he began to worship their "pagan gods." 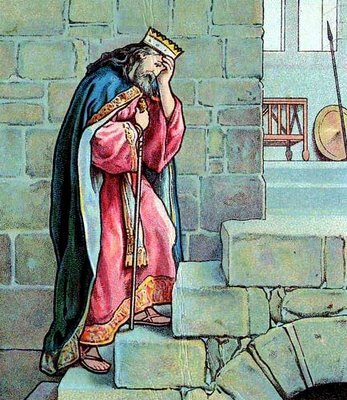 Scripture tells us that "The Lord became angry with Solomon because his heart had turned away from the Lord" …and that God said; "I will most certainly tear the kingdom away from you," 1 Kings 11:9- 11. The result was that the kingdom was divided, and never again attained the power and wealth that it had during the reigns of David and Solomon. Something that the world witnessed in the very deep divide of America showed during the elections of 2016! God always warns a nation and its people first! But if we don’t listen... before God destroyed the northern kingdom He said, through the prophet Isaiah; "When you spread out your hands in prayer I will hide my eyes from you; even if you offer many prayers I will not listen!" Isaiah 1:15. Again, speaking to the southern kingdom, He said; "Surely the arm of the Lord is not too short to save, nor his ear too dull to hear. But your iniquities have separated you from your God; your sins have hidden his face from you, so that he will not hear," Isaiah 59:1-2. Later, speaking of the southern kingdom, God said, "Do not pray for this people or offer up any plea or petition for them, because I will not listen when they call to me in the time of their distress, "Jeremiah 7:16; 11:14. We believe that America as a nation, like Israel, has been greatly favoured by God who has given them great material wealth …and the greatest military power in the world …and freedoms which few nations enjoy. And, just as God warned His chosen people Israel that when they entered Canaan and prospered… “then your heart will become proud and you will forget the Lord your God, who brought you out of Egypt, out of the land of slavery.” …And, “you may say to yourself, 'my power and the strength of my hands have produced this wealth for me!” But, remember the Lord your God, for it is he who gives you the ability to produce wealth,” Deuteronomy 8:14, 17. He went on to warn them that… “If you ever forget the Lord your God and follow other gods... you will surely be destroyed... you will be destroyed for not obeying the Lord your God!” Deuteronomy 8:19-20. Serious words! Let’s look at the days of Gideon and compare it to our times… and see if it becomes clear that what God had revealed through Gideon is where we are today! During Gideon’s times God was forced to raise up a deliverer… He found Gideon who was engaged in harvesting his grain, hiding from the Midianites. As were most of the deliverers, Gideon too, was reluctant to do what the Lord required of him! You see God will choose someone to restore a nation differently to the way people choose. Man looks at the outward appearance – but God looks at the heart! In the past every time Israel turned their back on God, and fell into sin, God sent in an enemy (just like the evil radical Islamists of our day) to bring them to their knees …and the Midianite oppression ruled in Israel for seven years. In the time of Gideon, Israel worshiped the false god, Baal who was the god of increase - to have more, more and more. Then God sent in the evil Midianites (who were allied with Amalek, the king of Jordan) to capture Israel. Consider what Gideon did in defeating the Medians… God chose him to be “the deliverer” even though he was from the lowly tribe of Manasseh. When God called him he was essentially hiding from the Midianites, trying to seek out a living in a secret location. Since he was from the least family, of the least tribe in Israel (not someone we would choose…?) but, still Gideon responded to God’s call. The Lord saw Gideon differently than the way Gideon saw himself. The Lord proclaimed; “The Lord is with you, O valiant warrior” (Judges 7:126-18). This was the exact opposite of what Gideon thought about himself (and the people who knew him must have also thought so too – from the least family – smallest tribe…?). “And the Lord looked upon him, and said; Go in this your might, and you shall save Israel from the hand of the Midianites: have not I sent you?” Judges 6:14 When God choose Gideon He could have chosen anyone else …but He chose Gideon to begin a new government to reform of his father's house; to destroy Baal and throw down Baal’s altar (which it seems his father had …either for his own house or perhaps for the whole town). And, to deliver Israel from the Midianites! Here we see the power of God’s grace raising up Gideon as a leader and “reformer, and deliverer” out of the family of one that was a ring-leader in idolatry. Yet, reluctantly Gideon came to trust the Lord and His evaluation and because of this he accomplished the “deliverance for the Nation of Israel!” He did it with only 300 men - against thousands of the enemy! His battle devices were mere pitchers and torches making Midianites believe, in the confusion of the night, that a great army was attacking them …and so they fled in haste and then finally annihilated by all the Israelites. God did NOT use a great army to conquer them so that He, not Israel would get the glory! This is a great example to us too. Often we feel like we are too few and lack what is necessary to fight the spiritual battles we face. But we remember Gideon, who had nothing, and the Lord went before Him to obtain the victory. “So Midian was subdued before the sons of Israel, and they did not lift up their heads anymore. And the land was undisturbed for forty years in the days of Gideon,” Judges 8:28. We must pause to remember: that the Midianites were evil and had stripped Israel of their livestock and destroyed their crops …and because of the destruction, Israel had to make dens in the mountains, and live in caves to survive. But, as we just read - then God stepped in (Judges 6:11) when all Israel was living in total fear in Ophrah which was on the other side of the Jordan River, in the country of Gilead …and where Gideon was hiding to thresh out what little wheat they had salvaged from the Midianites. “And the angel of the Lord appeared unto him, and said unto him, ‘The Lord is with thee, thou mighty man of valour,’" Judges 6:12. We must pause here since we do not think Gideon felt much like a mighty man of valour. The word valour means; man of strength, wealth, and ability. This only goes to prove that God does not see us as we see ourselves but rather He sees us as He designed and anointed us to be! And, it is God who chooses a leader! The Midianites had amassed an army of one hundred and thirty-five thousand (Judges 6:31-33, 34:35). Gideon, in his own thinking, knew he needed a vast army if he had a chance against the Midianites. “And Gideon said unto God, if you will save Israel by my hand as you have said,” Judges 6:36. As mentioned before, Gideon was not a military man. He did not understand military ways. He only knew God had spoken to him and said he would deliver the Midianites into his hand. Gideon felt the weight of this responsibility, and that he wanted to make sure that he had heard God correctly. So, Gideon asked the Lord to assure him (Judges 6:37-38). Many believe Gideon showed a lack of faith when he put out the fleece BUT Gideon was faced with an overwhelming army, and he wanted God's assurance he heard him properly. When Gideon rose up in the morning, the fleece was wet with “dew” and the ground around it was dry. “Dew” in the Bible is a sign of the “power” of God! But Gideon, wanted to be absolutely sure he was moving in the power of the Word of God, asked Him to once again prove His Word. Israel and Gideon's family had been down-trodden seven years (Just like America was downtrodden under Obama). Here we must remember, all Israel had no armament, and Gideon was to face this vast army with only the Word of God. With the fleece coming to pass, Gideon was ready to fight, but God was not ready … “The LORD said to Gideon, "You have too many men. I cannot deliver Midian into their hands, or Israel would boast against me, 'My own strength has saved me,” Judges 7:2. Gideon's army was too large to give God the glory. This was to be God’s victory - not Gideon's! 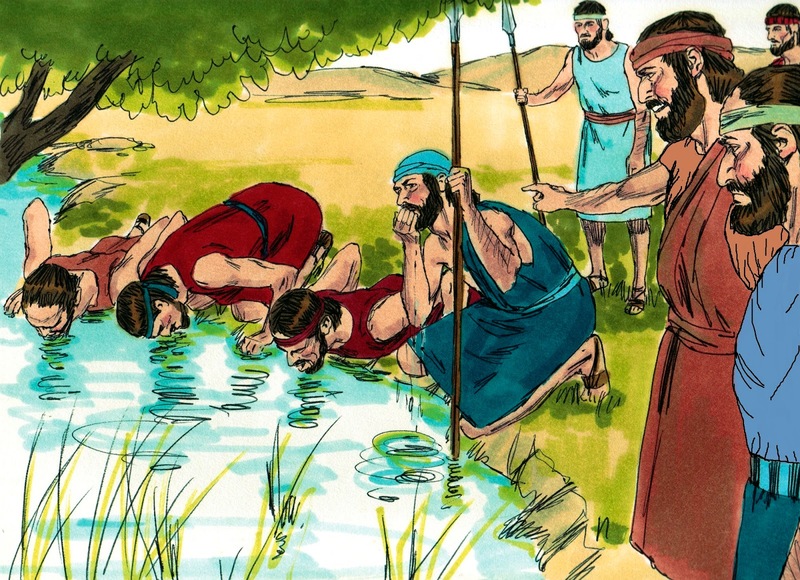 The army God chose through Gideon had to know what they were doing… those who “lapped” like a dog weren’t chosen only the ones who “drank water with their hands” were. And, so God informed Gideon he had to reduce the number of men that he had amassed and so when Gideon sorted the army according to God's direction, we discover Gideon ended up with three groups. With Spiritual eyes, we can see these are the same three groups which were foretold in the Tabernacle Moses built in the wilderness: The Outer Court group; 22,000 - The Holy Place group; 10,000 and the Most Holy Place group; 300. Here is an interesting aspect… every letter in the Hebrew alphabet has a numerical meaning and the number 10 represents a “yod” and meaning “yad”- “hand” and from the root of YAD “hand” we get “YAH”- YHVH (Isaiah 26:4) which is God’s Name. It is the letter “Y” - like in YES! The letter “Shin” (looks like a W) is the 21st letter in the Hebrew alphabet means “teeth” and is numerical number 300. It is a picture of a “tooth” and represents “eternal flame” AND ALSO the Name of God – El Shaddai (God Almighty) and it is where “Shalom” is derived from. – God of peace! This symbolism is depicted in prayers offered by Moses when Israel fought again the Amalekites attack. The Bible tells us that Israel prevailed when Moses held his “hands” up (Exodus 17:11) – the “shin” is a silhouette of Moses two hands spread and his head in the middle. Like we also do in worship! It is “faith”- “Emunah” which inspired the people of Israel …and today and can be seen on all the “doorposts” - “Mezuzah’s” in Israel reminding the Jews (and us too!) of God’s protection (Psalm 121:8) – God watching our “going out and coming in!” God is in control of every aspect of our lives! We most sincerely believe that God WILL bless you for your faithfulness and love for His land and His chosen people Israel. God’s Word is true! He IS watching to see how the nations are treating His people. God will have mercy on Israel through Gentile believers acting as mediators towards them… This is one of the most amazing revelations ever given to the church – an opportunity to do something that carries the highest priority in the heart of God. Yet… sadly, so few have seen the potential and the rewards of serving God in this manner - as agents of mercy to Israel and the Jewish people! Israel was and still is despised today… and a despisable nation continually turning away from God but nothing ever altered the purpose of God for that nation. The despised element is always a noticeable element in the purpose of God. When the Saviour of the world came, He came of that despised nation; like Israel… He Himself was “despised and rejected by men,” …and there is that despised element, “…things that are despised God has chosen,” 1 Corinthians 1:28. Now more than at any time is the time to support Israel and the Jewish people - the Lord’s Brethren! We are witnessing the nations and people turning their backs on Israel. Your prayers and support is critical! Thank you!